A concert in memory of Pear Ives who was a devout member of the church and was a cousin of Enchants Musical Director John Barber. The concert is also fundraising much needs money for the churches building project. 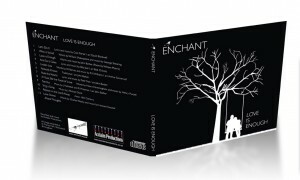 Enchant will be performing along side solo items by John Barber. This entry was posted in Concerts on 23rd March, 2019 by John.